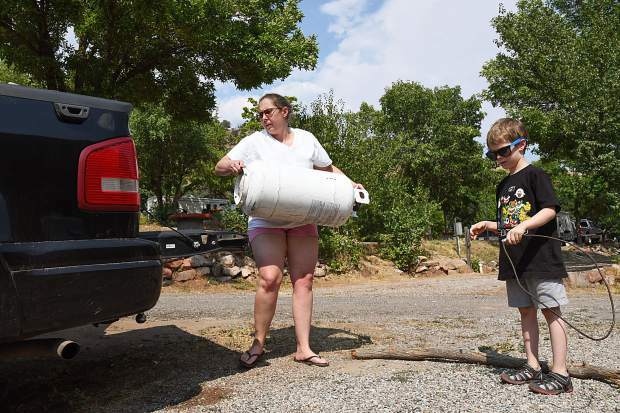 Bobbie Jo Quackenbush and her seven-year-old Sid Madera nephew follow the pre-evaction order at Ami's Acres after a fire broke out along I-70 on Thursday afternoon. Responders from various agencies converged on the site, which forced a closure of westbound lanes on I-70 for several hours. Eastbound lanes on I-70 were closed for roughly an hour. At 9 p.m., both lanes westbound opened up to traffic, relieving the buildup of traffic on the interstate, as well as in downtown Glenwood. At about 6 p.m. a fire department employee said the fire was 95 percent contained and had burned 3 to 4 acres. Fire department officials said the cause is still unknown. 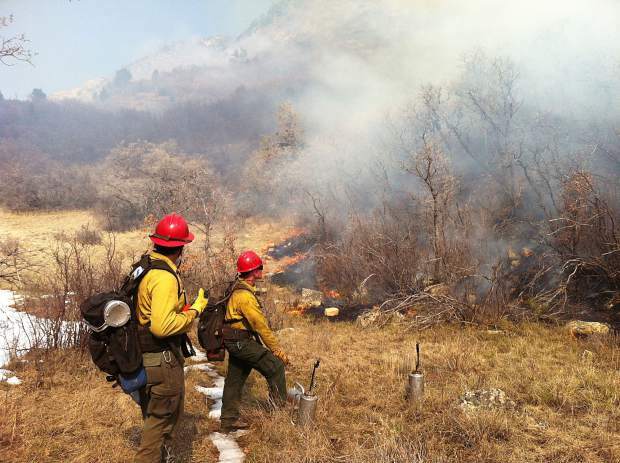 According to Glenwood Springs Fire Chief Gary Tillotson, the fire investigator will be on-site Thursday morning to determine a cause, while firefighters will continue to work on fire lines Thursday morning.